One of the best things a homeowner can do when choosing an outdoor furniture set is to assess the conditions of their outdoor living space. 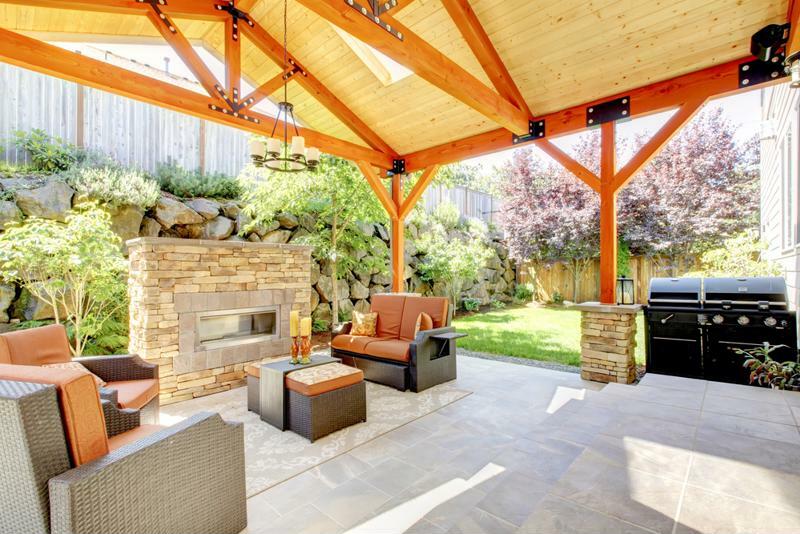 Factoring in the normal weather conditions of your backyard or patio will tell you what kind of qualities your backyard furnishings should have. If where you live is often sunny and hot, you’ll want chairs and tables that are heat- and UV ray-resistant so they won’t fade or become brittle over time. You might also want to consider investing in a gazebo or umbrella, especially if your backyard is prone to the occasional downpour. Create the backyard you’ve always dreamed about. When it comes to durability for your outdoor furnishings, material is everything. And for finding a sturdy material that’s weatherproof, lightweight, and long lasting, look no further than resin wicker. The basket-like woven fibers result in a chair or table that provides a range of features, like extra comfort and water resistance. Resin wicker also makes for a lighter piece of furniture, so it’s easily transportable when winter settles in or a nasty storm is on the way. Another excellent material for your exterior seating arrangements is cast aluminum. Aside from being an incredibly durable material for outside furnishing, cast aluminum outdoor furniture is rust resistant and provides homeowners with a more classic look you simply can’t go wrong with. It’s lasting strength and stability also make it an appealing investment you can consider adding to your outdoor furniture collection. It’s also important to keep the kind of style you’re trying to create with your backyard in mind. There are a variety of outdoor furniture sets that will cater to the environmental aesthetic you’re striving for, creating a backyard that’s the envy of all the neighborhood. You don’t even need a pool to feel like you’re lounging by the ocean. Beach sets come in a variety of reclinable cushioned chairs, ideal for taking in a sunny afternoon in the comfort of your backyard. You can also assemble the ultimate social hangout by choosing a conversation set or by placing multiple bistro sets together. Have your home be the life of the party by inviting guests over on a wrap-around sofa or daybed, while dinner is cooking on the grill and the placemats are all set out on the table. Bistro sets are an excellent option when you don’t have too much room to work with in your backyard. They offer elegant table and chair pairings, which work well for outdoor breakfasts on the patio or balcony, or you can find a two-seater wicker furniture set that’s great for an afternoon cup of tea near the pool. These are just a few of the options you can consider when creating the backyard you’ve always dreamed of. What qualities are you looking for in an outdoor furniture set? Click here to take a look at our online selection of comfortable and stylish outdoor furniture. Create the outdoor space you’ve always wanted.